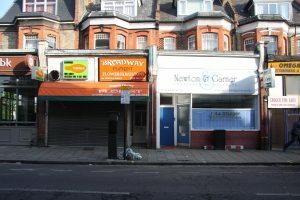 What do you think of Crouch End’s shop fronts? Your view is probably mixed. The new Waterstone’s is really quite pleasing, and is set alongside a not dissimilar Superdrug to make a pretty fair aspect on the approach to the centre. Whereas, the canopy outside what might one day be Middey’s is a blight, Snappy Snaps leaves a very great deal to be desired and Charlene’s Nail Spa . . . . . ! There may be a lot to be said for having a coherent approach to the design of shop fronts, for the benefit of the shopper, the local resident, the landlord and the business. 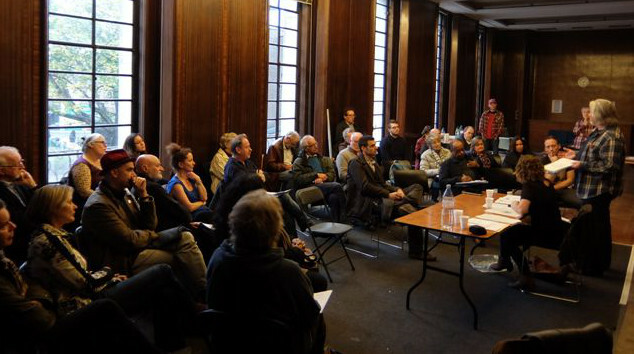 When one looks at the photos of Crouch End in the 1950s, a lot of damage had already been done to the shopping parades and as Town Planning only came in from 1948, the erosion of character came from pre-planning days.One of the early pointers the Forum from research and questions to users of the shopping centre was a desire to restore the character of a Victorian / Edwardian shopping area. Can this be reasonably done? Would we want it to look like this? The answer is probably, ‘No – not exactly!’ We certainly would not want the forest of gas lamps shown here in Tottenham Lane, and the sun blinds with side screens get in the way. But look carefully on the left side of the picture and you will see that there was a discipline of fascias and cornices above with repeated breaks at each party wall. The shopfronts were often different for each trade, but the ‘goalpost’ surrounding it came with the building and that has often been damaged or covered. What sort of shopping centre would work well? Actually …. we have a pretty good one already with a lot of independent shops, there is no dominant supermarket but four smaller ones competing in different ways and plenty to do in the eating, drinking and entertainment fields. Indeed, we have just about everything Mary Portas said works well in a shopping centre. We should not rest on our laurels, though, as there is a significant Sainsbury’s coming to Hornsey and the hike in business rates, the shops here need to do better to cover those costs and the centre needs to up its game to counter the possible threat posed by the Hornsey store. What we do lack is a landlord or head lessee with an interest in the long term. Look at Covent Garden, Regent Street and Marylebone High Street where the Covent Garden Area Trust, Crown Estate and Howard de Walden estates respectively have a long-term view of their portfolio and they do not let shopfitters put in what they might install in a new town shopping mall. They must mute their standard designs or corporate image to fit the historic area. Restoration has to take place to get back the character lost in the ‘unthinking years’. We have suffered a lot of standard designs that have undermined the interesting details provided by the builders about 120 years ago. Perhaps the Forum and the emerging Chamber of Commerce, bringing in the shopkeepers, must take that view instead. It will be pointless unless shopkeepers also see the wisdom in getting that character back BECAUSE IT WILL BE GOOD FOR BUSINESS. If we carry on as we are, we will head in the direction of Turnpike Lane – simply ghastly tat! 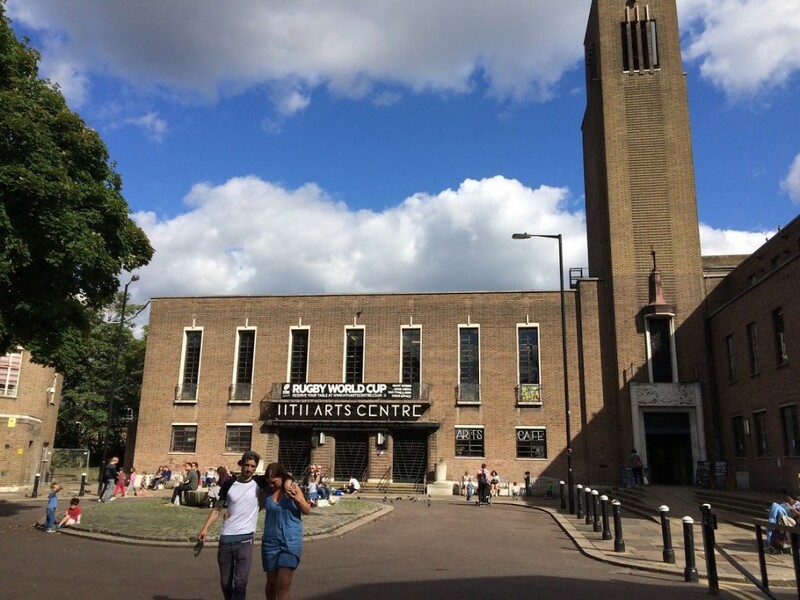 If there is a collective desire to be more like Upper Street, Islington then it is quite likely that more people will want to come to Crouch End as a shopping destination and place to meet, have a meal or a coffee and perhaps take in a film or other cultural activity. There are a lot of coffee outlets perhaps too many, and possibly too many charity shops, but there are very few empty units and when landlords do move businesses on, those businesses often take other units in the town. That is a good sign. When one looks closely at the frontages, a remarkable amount of original material does survive underneath later additions. Just look at the following pair of photographs taken 5 years apart. The 2010 photograph shows a hideous mess of chap and nasty additions that made this unit look like many others in un-cared-for parts of London. When that was stripped away the shop and fascia underneath was a surviving gem of a frontage. 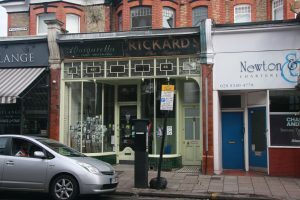 The left hand photo shows a shop in Topsfield Parade in 2010, after removing later additions a stunning original shopfront was revealed by 2015. Before starting a refit project it is essential to investigate what is underneath. Do we want a north London Covent Garden? Is that too precious and historic? It is arguable, that in a conservation area original fabric should not be lost, and when there is change it should be an enhancement and not further damage. It will be interesting to find out what shopkeepers and users think. Perhaps there is a ‘base camp’ to get to of at least restoring the pilasters, corbels and entablature when change happens and a refit is needed. Let’s call that the ‘goalpost’. 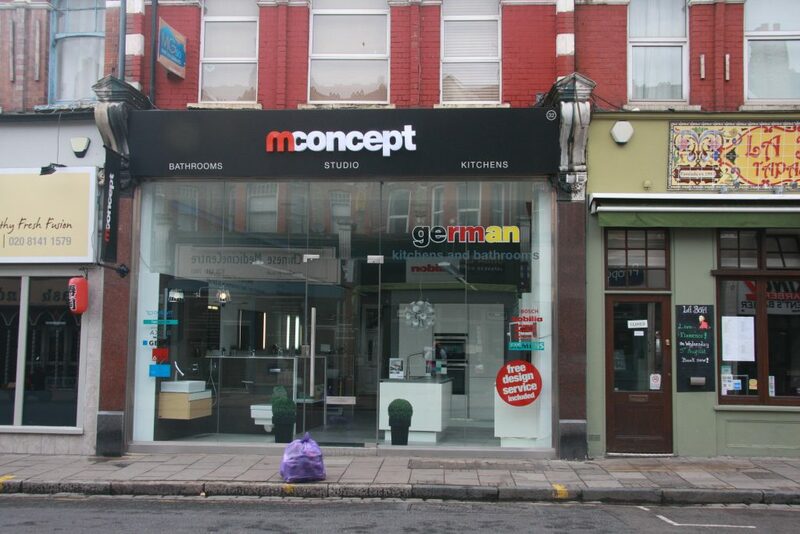 It is what the developers would have provided before the shop fitter moved in with the shopfront ‘screen’. 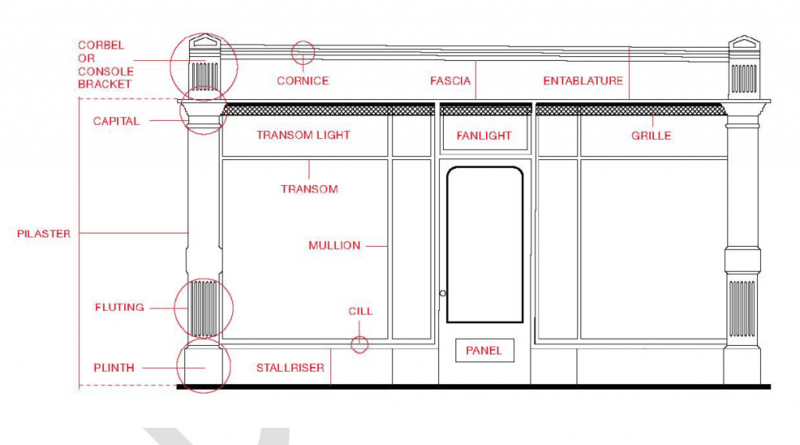 This mconcept example was nearly right with its ‘goalpost’ and has a simple diaphragm of modern glass in place of the stall riser, shop window, transom light, fanlight and grille. A more historically correct shopfront screen could be put in later if another tenant wanted that look and feel, but by getting the surround right, the character seen in that early photograph is largely restored and a significant enhancement made. Simple neutrality in the shopfront screen is better than a muddled mess. We have a specialist timber moulding company in Middle Lane and it is not rocket science to restore a painted fascia and copy mouldings to make the cornice (which sometimes has a row of blocks beneath called a dentil course). Should we get a pattern book together to guide change on a block by block basis? Many parades, like this shot illustrates, have a lot of details that survive and a few additions of pipes and cables that could, with a bit of cunning, be moved or removed. Is this gentle and relatively inexpensive change the way we should be helping Crouch End ‘up its game’? I grew up in Holloway. 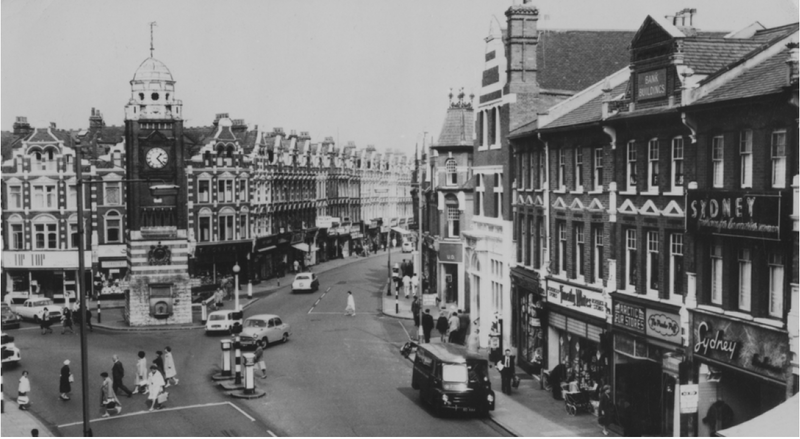 Both Holloway Road and Seven Sisters Road had a plethora of small privately owned shops. Plus M&S, Boots, on Holloway Road. In 1990 John lewis Partnership decided to close down the much loved Jones Brothers department store. 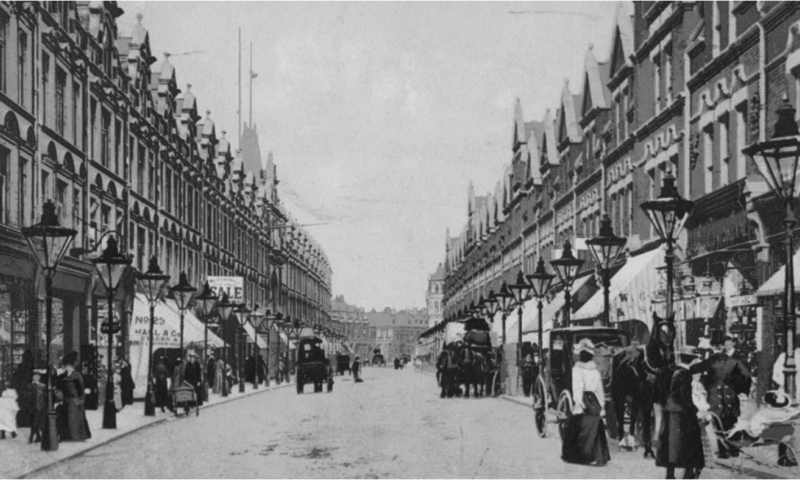 That was the beginning of the decline of Holloway Road. Local traders wanted the store to stay as it brought in customers. The site had two or 3 low profile stores for a while, now it is WAITROSE which adds a bit of ‘class’ to the area. I wish Waitrose had bid for the SAINSBURY site. Present of WR adds value to property and it is good for business, bringing customers in to the area. So please, please, stop allowing fascias of the shops in Crouch End to change. No more charity shops please, no more estate agents, they are all very well represented. Dunno Bakery is a good example of a local shop supplying local people with high quality merchandise. FilmHouse is a welcome addition. Sorry that should have read DUNNS bakery, not DUNNO – typo….